If you have made your way over here from AM, Then FM, welcome. 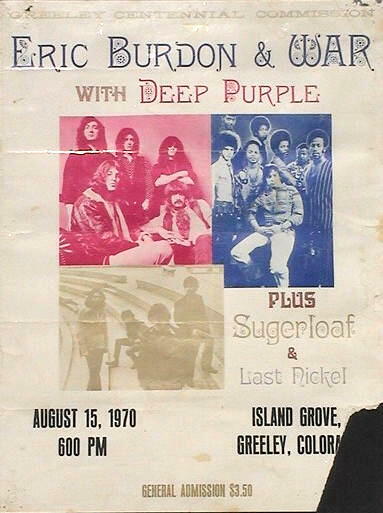 In the early ’70s, Grand Funk Railroad roared out of Flint, Michigan, and cranked out rock that fell somewhere between what has been described as metal (sorry, I don’t hear it) and hard (ah, maybe). They liked to play longer tunes favored by FM radio DJs. If you are of a certain age, you will remember “I’m Your Captain” as perhaps the best example of that. 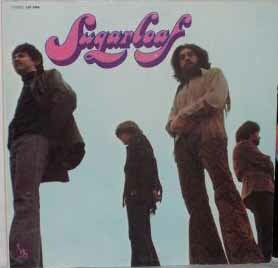 It’s the last cut on tonight’s side, from their “Closer to Home” album, released in July 1970. OK, maybe that seems a little unnecessarily apocalyptic. But those were the times. 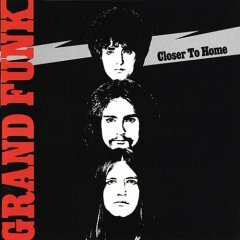 “I Don’t Have to Sing the Blues,” “Hooked on Love,” and “I’m Your Captain,” Grand Funk Railroad, from “Closer to Home,” 1970. It runs 21:20. Here’s another great story of how local radio used to serve up album sides late at night. It’s from our friend Vincent, who serves up lots of vintage soul, R&B and funk at his twin blogs, Fufu Stew and Fufu Snax. I for one can vividly recall the good old days when the two main rock stations here in Baltimore played album sides. WIYY (aka 98 Rock) had “Six Sides At 6,” and WWDC (aka DC 101) had a weekly program called the “Sunday Night Six Pack,” where they featured six full-length LPs. Needless to say, I was in front of my boom box with blank cassettes in hand and a steady finger on the pause button. Do you have a story like this from your town? If so, we’d love to hear it. In the meantime, head over to Fufu Stew and Fufu Snax for a couple of lovingly crafted tributes to Minnie Riperton. That’s what it says on the flip side of this album. No point in messing around. This is one of my favorite sides, ever. This is the J. Geils Band, recorded at its peak as the great American show band of its time, Nov. 15 and 19, 1975, at Cobo Hall in Detroit and at their hometown Boston Garden. We saw them live on a bitterly cold night in Milwaukee some six years later. This is what it was like. It got hot and sweaty on that bitterly cold night. If you know J. Geils Band only from their MTV hits of the early ’80s, you need to listen to this. Testifyin’! 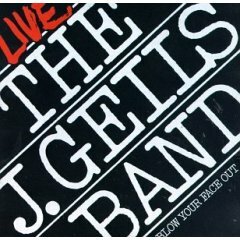 “Where Did Our Love Go,” “Truck Drivin’ Man,” “Love-itis,” “Intro (Lookin’ For a Love)” and “(Ain’t Nothin’ But a) House Party,” the J. Geils Band, from “Blow Your Face Out,” 1976. It runs 16:45. We suspected our town in central Wisconsin wasn’t the only place with something like “The Midnight Tracker” back in the ’70s. Back in the 1970s, WABB-FM in Mobile, Alabama played an entire album each night at 10 p.m. I remember recording many albums on my 8-track recorder including Stevie Wonder’s “Fulfillingness’ First Finale” and Led Zeppelin’s “Presence”. I recall a DJ announcing on the radio for listeners to get their tape recorders ready. At the time, if I liked the music, I would go out and buy the album since I hated messing with the 8-track tape. If you have a similar story from your town, send it along. We’d love to hear ’em. Back in the mid-’70s, in the days of vinyl and cassettes and 8-tracks, I went through high school and the first couple of years of college in Wausau, Wisconsin — a town of about 50,000 (after you add all the burbs). Though there were more than two radio stations in town, we really only had a choice of two. The AM station, WRIG, was top-40 pop. However, it inexplicably also chose to air “The National Lampoon Radio Hour,” an irreverent, sophisticated, cutting-edge comedy show that set the tone for “Saturday Night Live” — which hadn’t yet debuted. It also shared many of the same cast members. The FM station, WIFC, was top-40 rock. Until 10 p.m. at night, that is. That’s when it became one of those free-form stations that seem to have passed into legend. After 10, the WIFC jocks played anything and everything. David Bowie and Uriah Heep followed by Gil Scott-Heron and Rahsaan Roland Kirk. This, in central Wisconsin, mind you. At midnight, it was time for “The Midnight Tracker.” Nothing complicated about this. Drop the needle on a new album, play the first side, flip it and play the second side. This went on for some time, until — the way I heard it — the record companies worked themselves into a tizzy about the prospect of people taping new albums off the radio! OK, I confess. I did that. Here’s how it worked. I’d get out my portable tape recorder, pop in a blank 90-minute cassette tape, grab the microphone and hold it right up to the radio speaker. You can imagine the sound quality. Things improved once I got a receiver and a tape deck and went to direct input. By then, though, “The Midnight Tracker” had been reduced to one side, not the whole album. The DJs winked at this change, often playing the other side on another night. So if you were patient, you might get the whole album. It wouldn’t take long. In that spirit, we are delighted to revive “The Midnight Tracker” for your listening pleasure. We know you would never, no not ever, tape this off your computer speakers. That would be wrong. 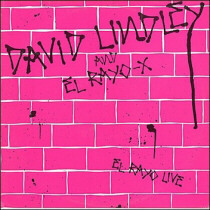 Tonight’s offering: Side 1 of “El Rayo Live,” a six-song EP from David Lindley and El Rayo-X, released only in Europe in 1983. From what I can tell, it’s rare. I don’t know whether a 1990 CD release with the same name is the same thing. Lindley was a highly regarded session player in the ’70s, most notably with Jackson Browne. Just check out his extensive resume. He put together El Rayo-X in the early ’80s, recording three delightful albums that “integrated American roots music and world beat with a heavy reggae influence,” according to his official bio. It sounded good to me then, and it sounds good now. The first and third cuts were recorded at Hop Singh’s in Marina Del Rey, California, on Dec. 11, 1982. The second cut was recorded at the Golden Bear in Huntington Beach, California, on Dec. 3, 1982. “Wooly Bully,” “Turning Point” and “Talk to the Lawyer,” David Lindley and El Rayo-X, from “El Rayo Live,” 1983. It runs 17:09. If you’re good, you might get Side 2 soon.